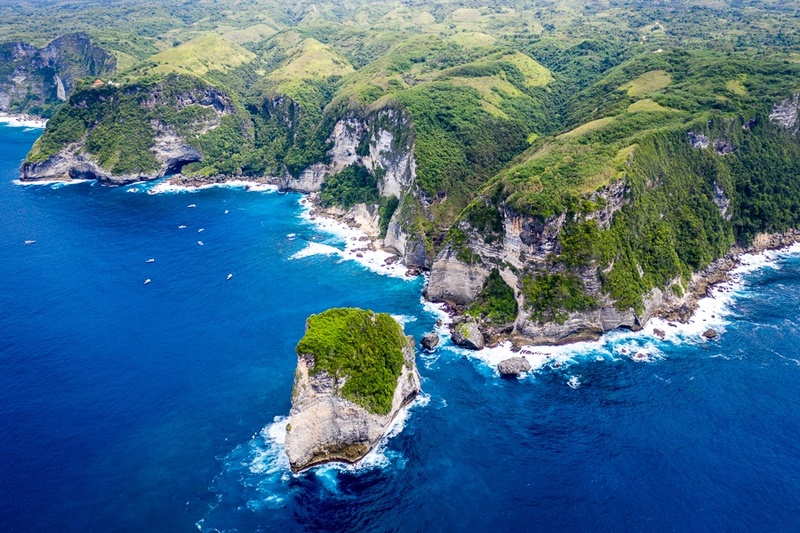 Lots of visitors to Nusa Penida know of Manta Point as a good snorkeling and diving spot where you can swim with the giant manta rays, but what most people don’t know is that there’s also a nice cliff point that overlooks this spot. 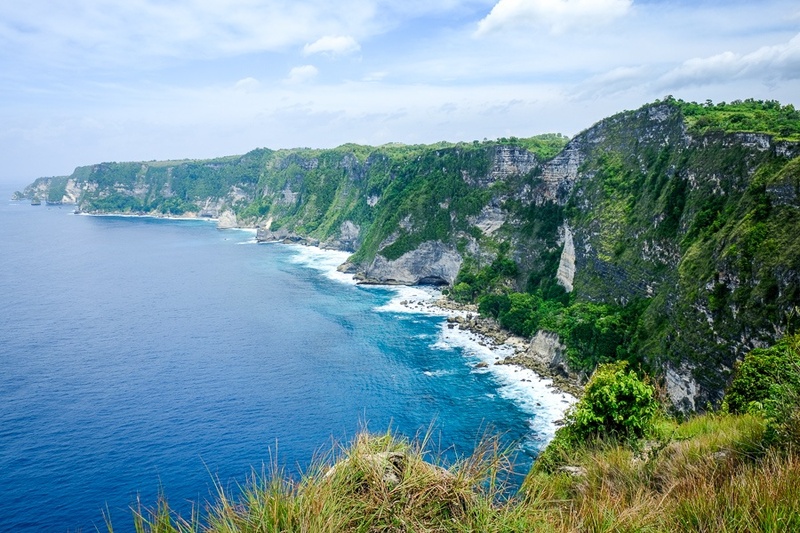 It’s every bit as epic as any of the other cliff views in Bali! When you reach the parking area at Manta Point, the first thing you’ll see is a row of huge cliffs to the west. Be sure to head over there for a minute and admire the views. In the distance you can see the little blue stairway for Peguyangan Falls, and even further back you can just barely make out Batu Siha Beach and Saren Cliff Point. It’s an epic panorama, but there’s more to see here if you keep exploring. 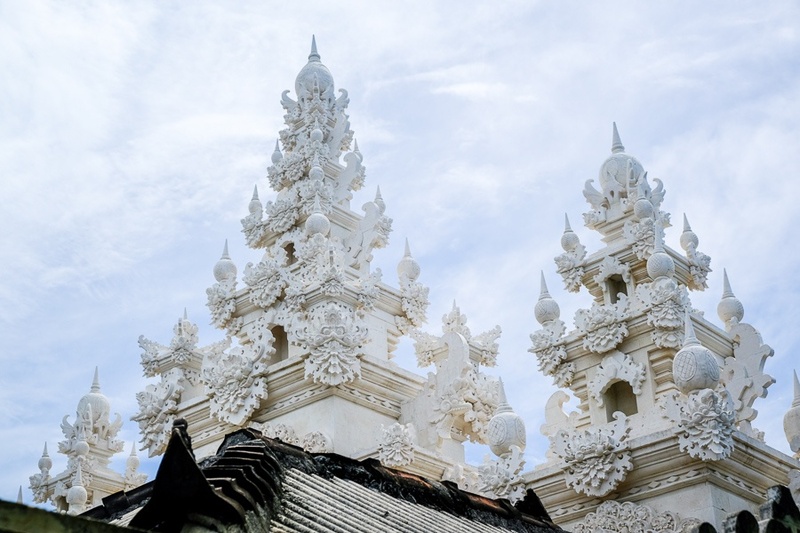 Walk southwest from the parking area, and you’ll stumble upon a Hindu temple made out of bright white stone, just sitting out here in the middle of nowhere. 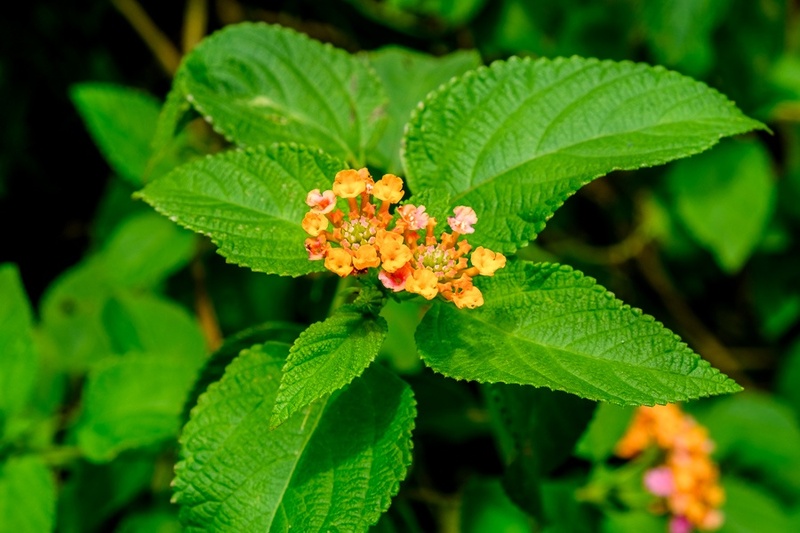 The name is Pura Sekar Kuning, which means Yellow Petal Temple (probably named after the flowers nearby). 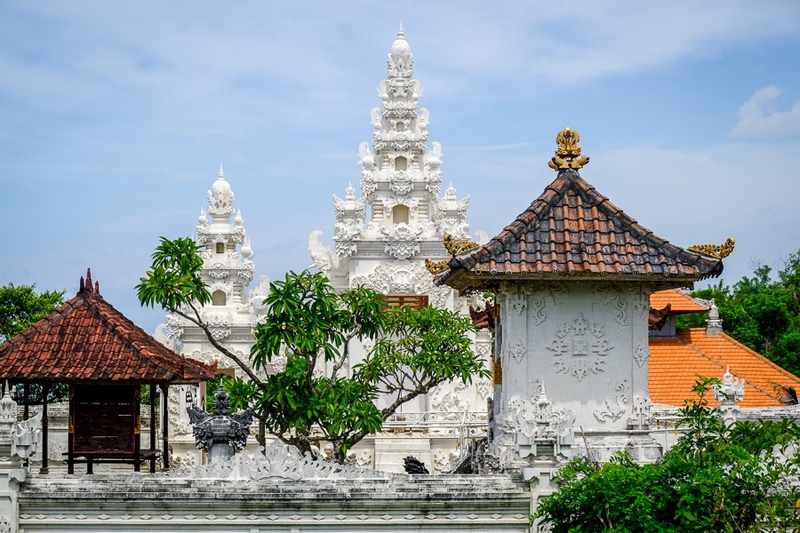 The temple was empty when I visited, but if you wear a sarong you can go inside and check it out. If you walk around the outside of the temple, there’s a small path in the south that leads to the main overlook: Manta Point. It’s a short 5 minute walk that cuts through some bushes. The overlook is an awesome spot where you can sit and watch the snorkeling boats come and go, and if you’re lucky you’ll see manta rays swimming down there too. Me and my driver chilled here for an hour or two, and I flew the drone over to some of the cliffs. It was peaceful and we didn’t see any people here the whole time! 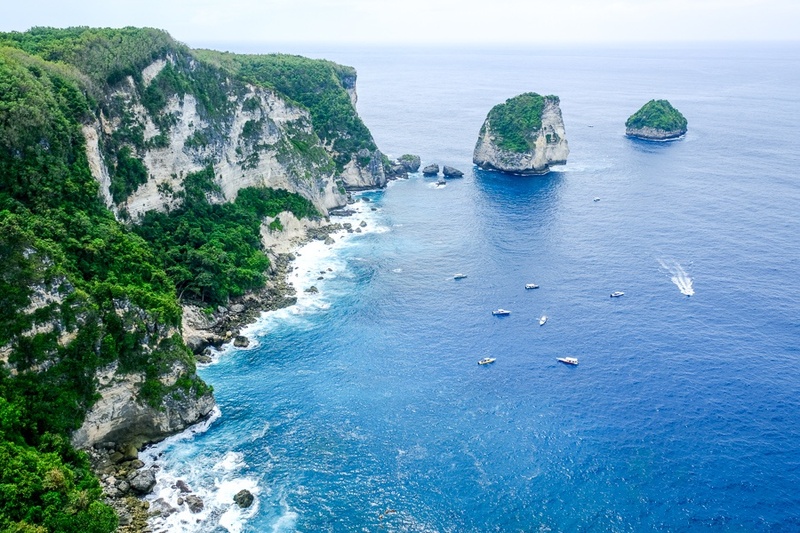 Manta Point is on the south side of Nusa Penida island. It’s accessible by car or scooter, about 1 hour drive from the main docks and accommodation in northern Penida.